Enclosure for Oxygen 360 trampoline. The enclosure on your children's trampoline is damaged, after having being used for many long hours of trampolining. However, the steel net posts on your trampoline are in good condition and you do not wish to change them. This brand-new net will allow you to change a damaged component, for a good price, and ensure high safety on your garden trampoline. 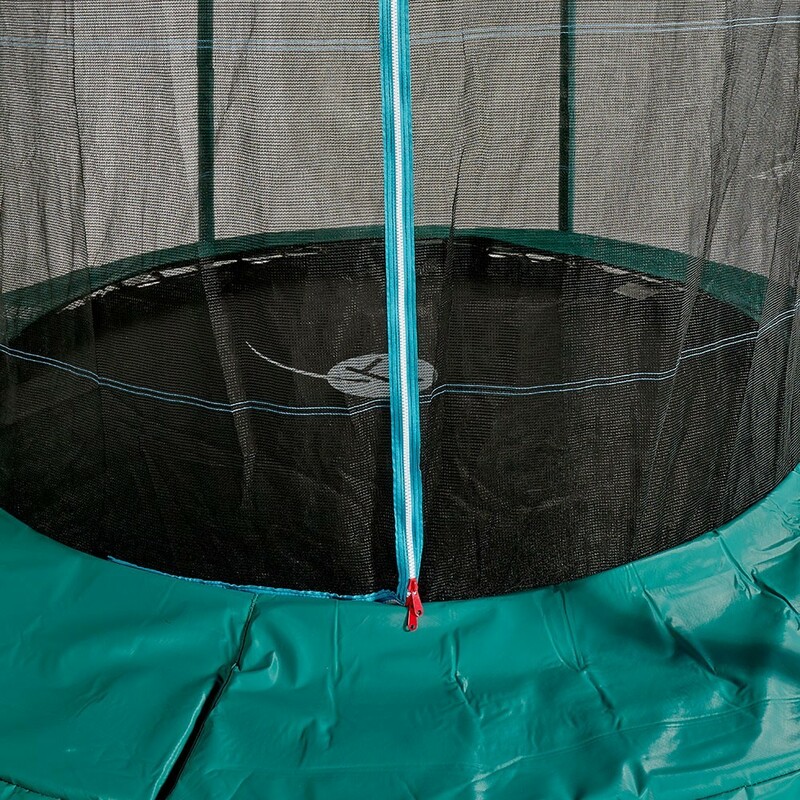 - This enclosure is designed for the Oxygen 360 trampoline, which has an exterior diameter of 12ft (366 cm) and eight net posts which are curved towards the inside. Because the enclosure should be as stretched as possible, the curvature of the net posts is essential in order for the net to be held between the jumping mat and the frame pad, which covers the springs. Straight net posts are not adapted if you wish to install this enclosure. 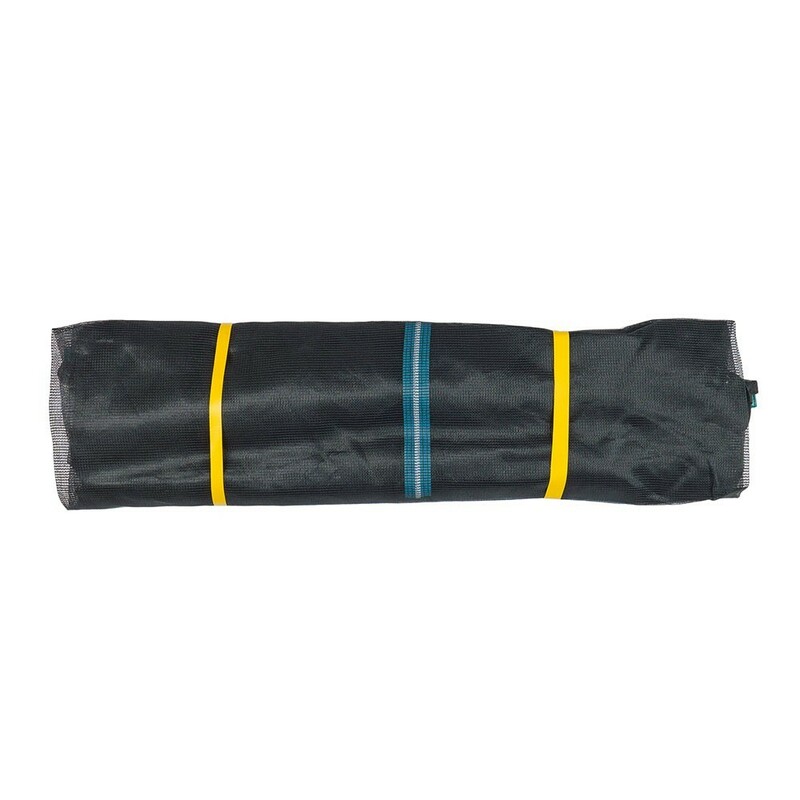 - This polyethylene net, with fine netting, will prevent children from putting their fingers through it. The L-shaped door can be opened and closed using a zip, from the inside or the outside of the trampoline, making the jumping area safe. - The enclosure of your trampoline is fixed to the top of your net posts using fibreglass rods which you should already own. At the bottom of the trampoline the enclosure is fixed using elastic straps, which are placed between the frame pad and the jumping mat. The frame pad can therefore not be accessed, which is very useful on a children's trampoline. 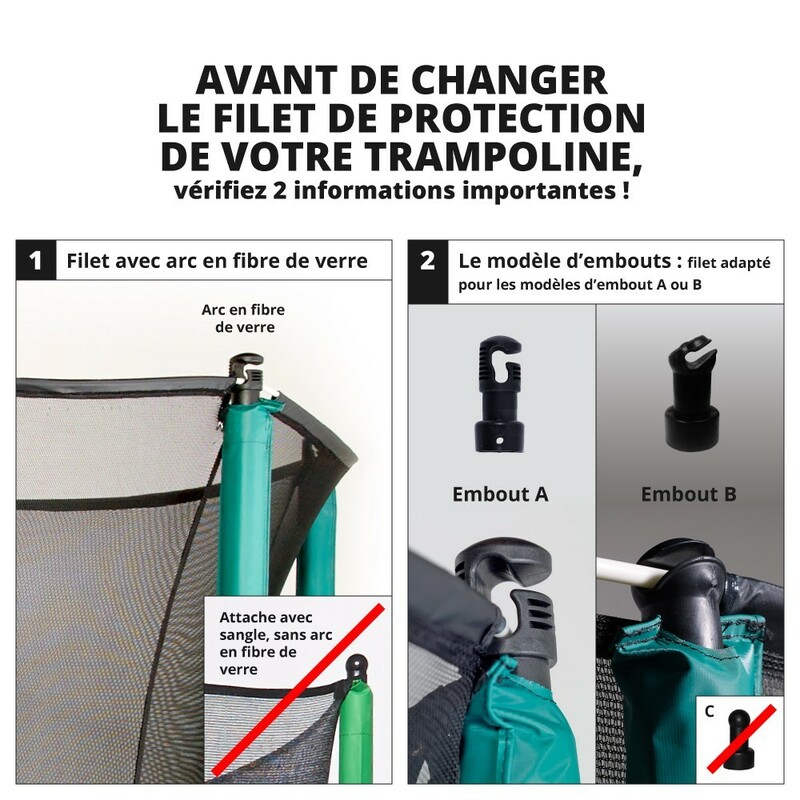 - Finally, this replacement net is adapted to trampolines with rounded framework at 89 cm from the ground and with posts that are no higher than 2.60 m. If you have any doubts, please do not hesitate to contact us at France Trampoline.